To become a successful person, you need to understand that your greatest accomplishments come full circle with a complete balance of your mental and physical health. And what helps determine that? By the amount and quality of sleep you get! Setting a routine is the key ritual for successful people. Whether that includes listening to soft music, reading, or watching the news, the most successful person unwinds from the day and resets for tomorrow the same way each and every day. Here are the top nine things successful people do right before they go to bed. Most experts agree that this is the best way to unwind and get ready for your next day to be a success. According to Michael Kerr, an international business speaker and author of “You Can’t Be Serious! Putting Humor to Work,” most successful people block off time to read before going to bed. This is a good time for people to catch up on the news, skim blogs, or simply read for pleasure to get a good sense of what is going on in the surrounding world, rather than focusing on just our own individual lives. 2) They make a to-do list. Doesn’t writing things down feel like a release? Often times, people write down their schedules before they go to bed in order to transfer those thoughts from their mind to that piece of paper. Now, you are ready for sleep instead of focusing on what you need to do tomorrow. 3) They spend time with family. Michael Woodward, Ph. D., organizational psychologist and author of “The YOU Plan,” says it’s important to make some time to chat with your partner, talk to your kids, or play with your dog. Just like the list, it is important to go over your day with others. Gather their insights, find out what they did today. Make it less about YOU and more about others, especially if it wasn’t your best day ever. Share great experiences you had today, or get advice if your experiences brought your mood down. Sharing thoughts and having conversations before sleep is a great way to focus your mind off your day in a positive way. 4) They reflect on the day. According to Kerr, several successful people seal off their days by taking the time to write down three things they are grateful for that happened. This “gratitude journal” allows for us to keep our lives in perspective and appreciate the little things. It also keeps us motivated, especially if we are in a challenging time in our lives. Using 10 minutes before bed is also a great way to relax the mind and body. It puts us in a calm state that reduces nerves and anxiety. Paired with a cup of hot tea, you are bound to get the many hours of sleep you deserve and need! 6) They plan out sleep. Rather than going to sleep “whenever,” many successful people map out their night of sleep, just like their days. Setting a routine bed time that fits in your schedule is key to ensuring that you maximize the amount of sleep that you can get. Setting alarms and counting the amount of hours of sleep you are getting can also ensure a set pattern of sleep to achieve maximum productivity and energy throughout your days! 7) They unplug and disconnect from work. This is especially crucial if your job is high-stress and time sensitive. Right before bed is YOUR time. You don’t need to carry over any baggage from a boss or co-worker. Just turn off your e-mail, put your phone on silent, and do not dwell on work-related issues. This separation of time before you walk into the office the next day is crucial to your mood and work productivity. 8) They lie down on a positive note. Sometimes we are our worst critics. We steal away our own precious sleep time to think negatively about our day. We think about what we could have done better, what we could have done, or let someone else’s actions impact how we feel. Going back and thinking about how wonderful the day was or remembering the good things will allow for a more restful and easy sleep. 9) They picture tomorrow’s success. If you set your mind to it, you can achieve it almost anything! And there’s no other better way to put your mind to what you want and all the good that you’ll do right before bed. Envisioning a positive outcome in life or in your day will allow your mind to be at peace. 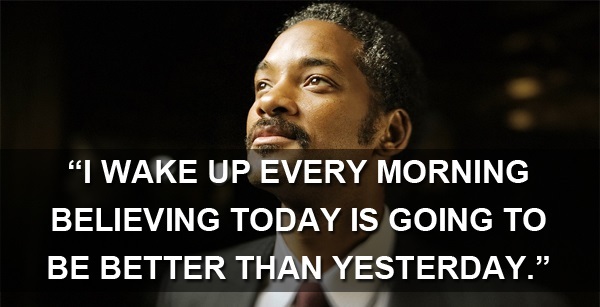 This will also ensure that you get enough sleep so that you can conquer tomorrow and accomplish what you want!